I Have A Unique Product or Business Method. SHould I Get A Patent? You can get away with not having one, but at the very least, write an informal plan that outlines your ideas for the business, and make a list of milestones. And accept that it will change. This is a good sign: 85 percent of Inc. 500 CEOs are risk takers—but they’re also good at identifying and mitigating that risk before it burns them down. Do you want to start your company anyway? Investors tend to favor companies that hold patents and other forms of intellectual property, but getting them can be very expensive and time-consuming. There’s plenty of time to find that blockbuster idea. Pay attention to your daily life and keep a list of everyday products, services, and situations that don’t work the way you think they should. This is your idea list. Is my business idea any good? NEXT: Should i write a formal business plan? Should I write A Formal Business Plan? Research shows that the most successful founders are relatively unconcerned with getting consensus before acting. They tend to focus on solving business problems and vaulting roadblocks. Focusing on solving a problem is a great way to keep motivated when the going gets tough. And if you’ve had the problem, others probably have as well. Before going further, make sure that assumption is true by testing your ideas with potential customers. Is it crucial to you that everyone is on board with your ideas before you take action? Are you borrowing money to start your business? It’ll be a lot easier to stick with this if it’s a passion project. 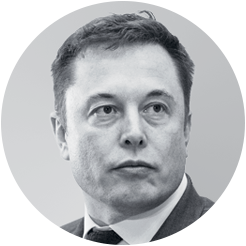 Tesla founder Elon Musk said in 2014 that he wouldn't sue anyone who used Tesla's patents because, he wrote at the time, "Tesla, other companies making electric cars, and the world would all benefit from a common, rapidly evolving technology platform." Does your idea solve a problem or address an issue that has affected you personally? Write the plan. It can serve as a valuable road map when the fog of startup war moves in. You might make a better employee than founder. Is your product or service differentiated by a lower cost or price point, its unique quality, or its appeal to a niche? Spend your time and money building a market. You can also file a provisional patent application now so that you can do a full patent application later. Segment of Inc. 500 founders who have a "relational" leadership style, compared with 40 percent of founders who aren't in this fast-growth club. Do I Have What It Takes To Be A Founder? 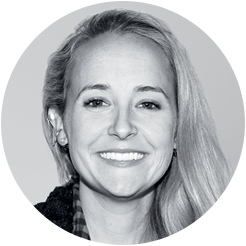 Alexa von Tobel, founder of LearnVest, wrote a 75-page business plan that she never showed anyone, but she claims it was invaluable in helping her develop a clear vision. Yours needn’t be that long. Banks, angels, venture capitalists, and friends and family will want a formal business plan that includes a comprehensive financial overview with projections of expenses and your marketing strategy. You can try, but this will be a lot easier if you wait until you get a better idea. 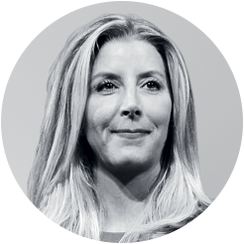 SARA BLAKELY founded Spanx because she wanted to look better in her favorite pants. Warby Parker’s founders were fed up with overpriced prescription glasses. Airbnb’s founders hosted guests on air mattresses in their apartment to make money when a conference came to their city.